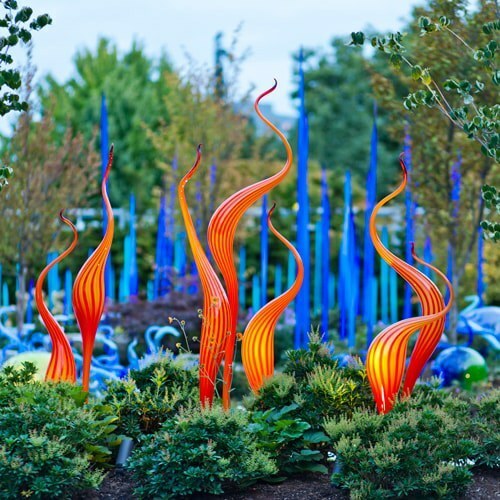 Dale Chihuly's blown glass creations blow your mind at this Trip Advisor™ favorite. Immerse yourself in his work as you walk through the Galleries. 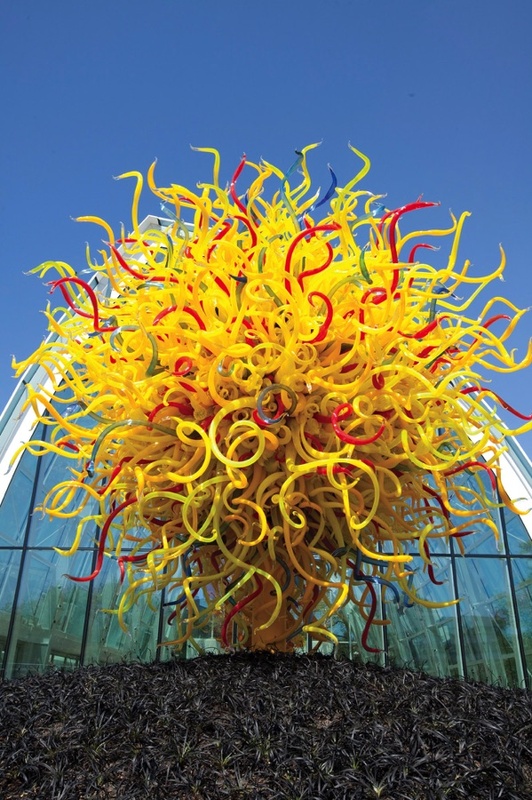 Watch the light play off the 100-foot long hanging sculpture at the Glasshouse. 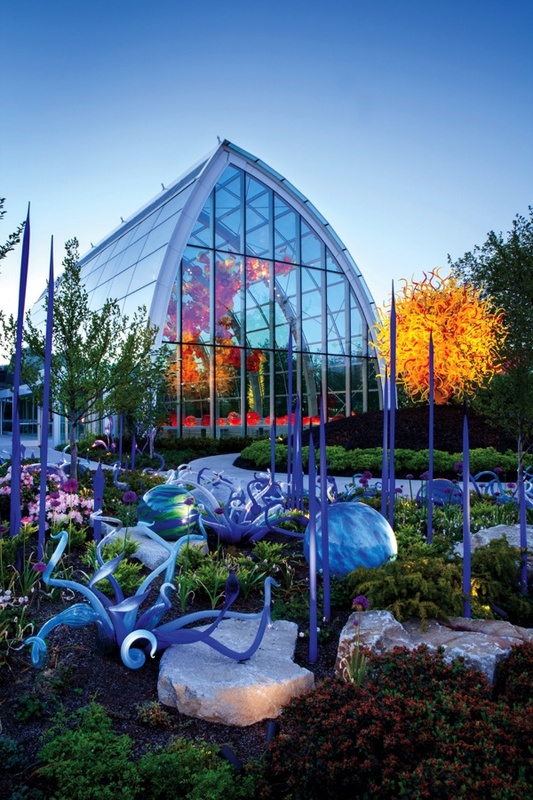 Then, visit the Garden and try to figure out what’s natural and what’s glass (we dare you). 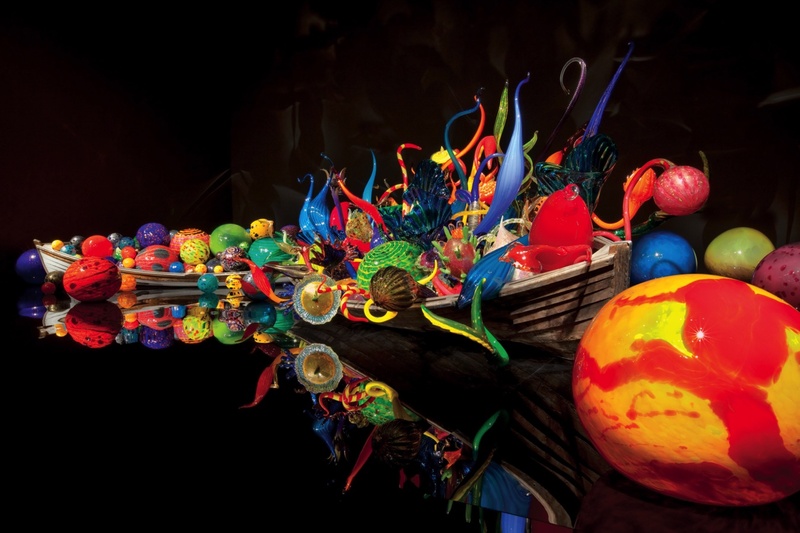 Galleries: Interior Galleries reveal the most significant series and installations of Chihuly's career and celebrate his efforts to push the boundaries of glass as a medium. Garden: The ever-changing Garden and its stunning installations create an immersive experience that sparks wonder and inspiration. Audio Tour: Use you See It All app to listen to the audio tour and learn about the Exhibition from local artists and collaborators. The Bookstore: Featuring the work of local artists and artisans and a variety of books and materials relating to Chihuly's artwork, The Bookstore provides items that reflect the creative spirit of our region. 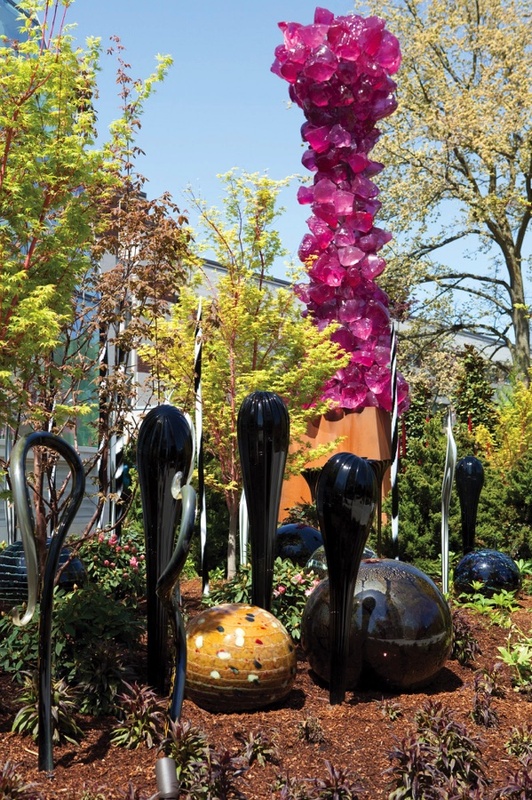 Collections Café: With Dale Chihuly's personal collections providing ambiance, dine from a menu that celebrates all that is fresh and local.